Modular system, the double pulley drive with a wide V-belt is integrated in a symmetrical housing. 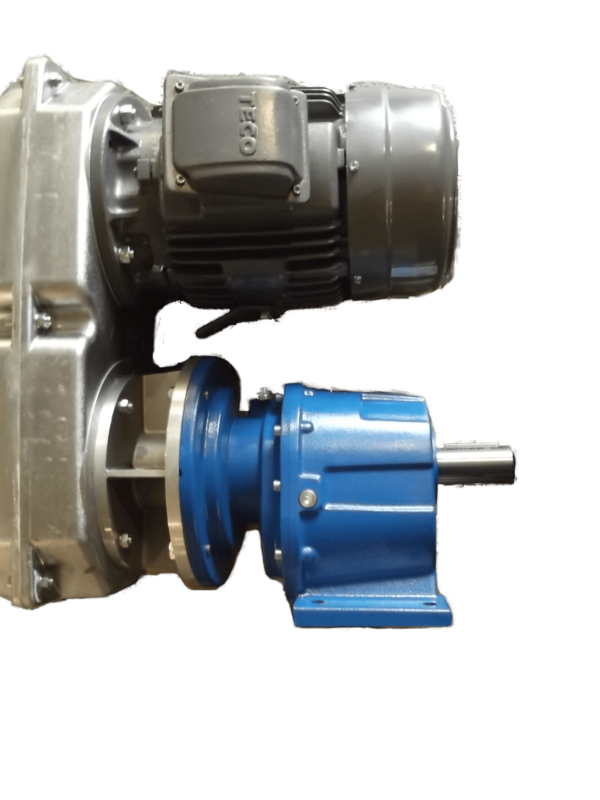 The numerous possibilities offered by this design range from modular assembly of a wide variety of drive elements up to a connection-ready, compact variable gear unit. Spindle ad angle adjustment controls with disc-type or scale handwheel are available for speed adjustment. Incl. speed indicators (analogous or digital) and tachometers. 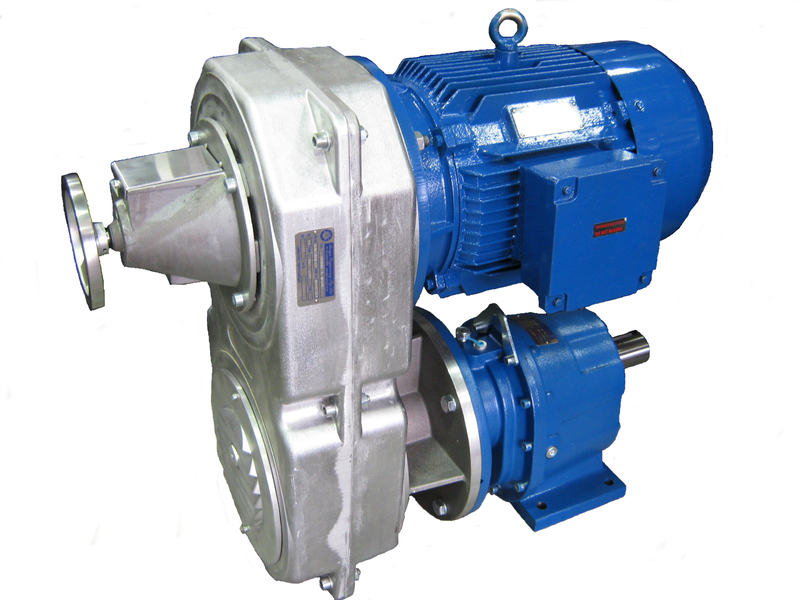 On the output side, every assembly unit can be equipped as standard with two-bearing input and output shaft in flange design. This in turn allows connection of output elements in conjunction with chain or belt drives. At the same time, this shaft design provides the input for reduction gears with IEC connection (hollow shaft). A gear pedestal is also available for every size. The housing of RGAE sizes 2 to 9 have IEC connections on both the motor and output sides as standard. RGAE range of Variable Speed Drive units is most superb. It is easy to attach your gearbox too and for your motor. Range VSD Range is from RGAE 1 to RGAE 9. This provides clients with a choice of 0.37KW through to 160KW! Varmec offer options for mounting of drives and motors of either flange mounting or shaft mounting directly to the VSD. 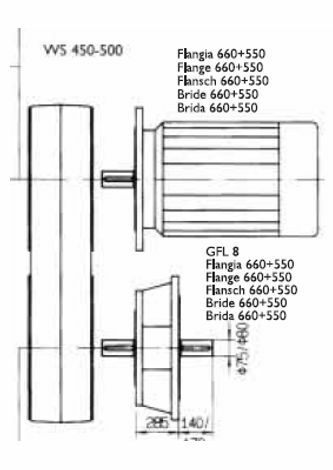 Above image shows that the adaptor between the VSD and gearhead can be flange or shaft mounted.